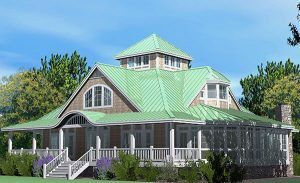 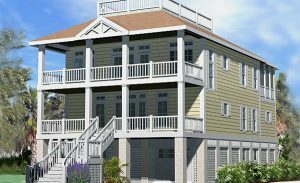 Our Widows Walk House Plan Designs incorporate a roof-top windowed cupola or “widows walk”, which we refer to as an observation loft, accessed via spiral stair from the second story hallway. 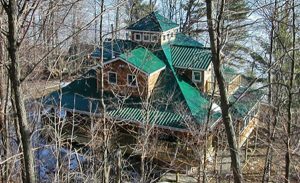 This observation loft is a great place to glimpse a distant view, to survey the landscape or to find a special place to read a book or to work on a project in your personal studio. 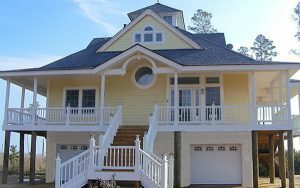 The Grand Gazebo Cottage is a contemporary adaptation of a grand southern mansion. 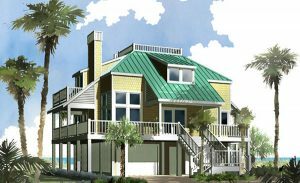 The wrap-around porch is ideal for hot southern climates. 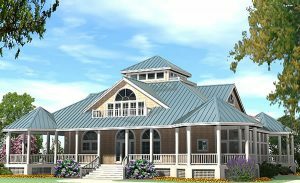 The Grand Island Cottage is a larger version of our popular Island Cottage done on a grand scale.